The LT Time Allocation Committee has issued the calls for proposals for Semester 2017B (1st Jul 2017 → 28th Feb 2018). PATT accepts proposals from Principal Investigators (PIs) based in the UK. Non-UK PIs who are not eligible for CAT, OPTICON or CCI time may also apply through PATT. After taking off 20 hours set aside for Reactive Time and 44 hours allocated in previous semesters, there are 236 hours available to be allocated for PATT in semester 2017B. The deadline for submission of proposals is 17:00 GMT on Friday, 7th April 2017. Full details of the Call for Proposals are available for download as a PDF file from here [ CallForProposals-PATT-17B.pdf ]. The file gives more information about the proposal process, reactive time applications, new and existing instruments, and the telescope's performance and rapid-response capabilities. The internal JMU TAG accepts proposals from Principal Investigators (PIs) from the Liverpool John Moores University Astrophysics Research Institute. After taking off 9 hours set aside for Reactive Time and 44 hours allocated in previous semesters, there are 247 hours available to be allocated for PATT in semester 2017B. Full details of the Call for Proposals are available for download as a PDF file from here [ CallForProposals-JMU-17B.pdf ]. The file gives more information about the proposal process, reactive time applications, new and existing instruments, and the telescope's performance and rapid-response capabilities. The eligibility requirements and applications procedure for the CAT Time Allocation Committee can be found on the CAT website. In general, CAT accepts applications where the principal investigator (PI) is affiliated to a Spanish Institution. The deadline for submission of proposals is Monday, 3rd April 2017. The TACs generally reserve a small proportion of their time allocation to provide rapid response to unforeseen targets of opportunity. This Reactive Time can be applied for at any time throughout the year as described here. We also offer users the ability to apply for PriorityZ Time at any time throughout the year. We define PriorityZ time as time when there is no A, B or C-ranked science group available for the scheduling software to pick, and so the telescope would otherwise sit idle. This can occur during periods of poor seeing during full moon, or during times of instrument failure. We estimate approximately 10-15 hours of such time are available per month, although this can of course vary significantly. PriorityZ time is well-suited to long-term proposals of bright targets with no significant time constraints. We would typically expect to approve a PriorityZ proposal for a period of two years. 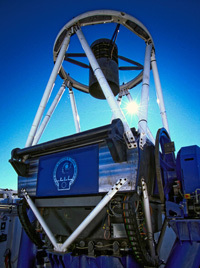 PriorityZ time is not tied to any TAC and so we welcome applications from any research astronomer.